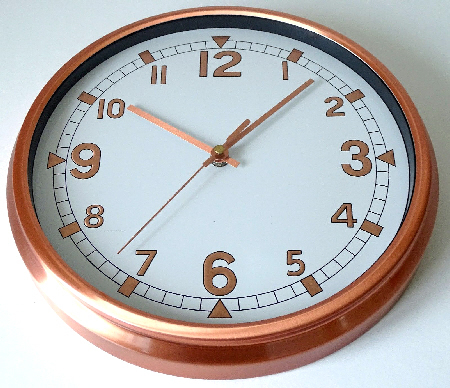 Attractive modern brushed aluminium copper finish Hometime wall clock. Copper colour hands & copper numerals. Clock diameter = 29cm approx’. Please follow this eBay link for more info’.